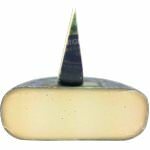 Grayson is a soft, finely textured cheese with a orange-brown sticky rind, a golden semi-soft paste, a pungent aroma and a rich, beefy taste with nutty overtones. 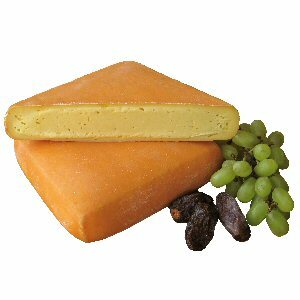 Virginia's Feete family says it is reminiscent of an Italian Taleggio or a French Livarot. 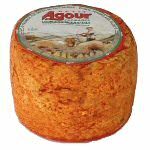 Grayson is made with raw milk of Jersey cows and aged longer than their Italian and French counterparts, around 60 days; no pesticides or herbicides are used in the fields where the cows are pastured. 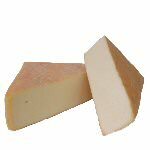 This washed-rind gourmet cheese is made in the mountains of southwestern Virginia at the Meadow Creek Dairy; a small family farm dedicated to sustainable agriculture. Grayson is only produced when the cows are on natural pasture from April through October. From the 80 Jersey cows Helen and Rick Feete milk, approximately 20% will be used to make cheese. This allows them to use only the highest quality milk for every batch of cheese and they always use extremely fresh milk - they make cheese within 2 hours of milking. That their philosophy works resulted in awards: Grayson was awarded a third place Open Category Farmstead Cheeses at the American Cheese Society Competition of 2007, a second runner-up to Best in Show in the 2008 American Cheese Society competition and a second-place ribbon in the 2009 competition. Ingredients: Cultured raw milk, salt, rennet.